Begin the path to becoming a dental assistant by enrolling in our school today! A dental assistant needs to have the knowledge and expertise to help a dentist in a multitude of ways. Dental assistants need to be at the ready at all times of the day. Therefore, it is important for dental assistants to receive the necessary training. At the same time, the proper training will give an aspiring dental assistant the best chance of landing a job. At the Dental Assisting School of Arizona, we strive to help these aspiring dental assistants learn everything they need to be a strong candidate when applying for a professional position and continuing their medical education. We provide a 13-week course to help prepare you for a career as a dental assistant. 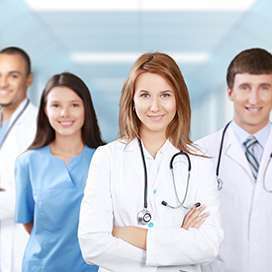 Our team has the professional skills and knowledge to give dental assistants the knowledge they need in order to provide the beneficial services. Under the direction of our chief instructor and director, Dr. Michael Dickerson, DMD, our team strives to prepare students for entry-level positions as a chairside assistant. We take the time to establish a professional and complete learning experience. With our course, we will help students develop the skills they need to assist dental professionals in all chairside procedures. With the efforts of Amy Manzo, the Registrar/Administrator and Director Trista Fahey, we can get you on the path toward a career as a dental assistant and other possible positions in that field. With each week of our 13-week course focusing on a different aspect of dentistry and being a dental assistant, we help students understand the necessary tools they will need. In order to assist dentists and hygienists on a regular basis, dental assistants need a complete knowledge of the tools, technology and procedures of dentistry. Our courses will help students learn to prepare materials, sterilize instruments/equipment, apply topical anesthetics, prepare dental charts, take dental X-rays, take impressions of a patient’s teeth, how to act in medical emergencies and properly pass instruments to the dentist. 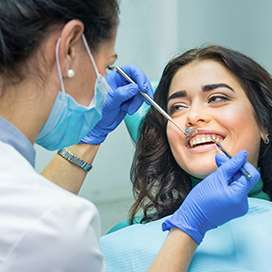 While some of these tasks can seem almost simple, the dental assistant must follow specific protocol and professionalism. In order to help students grasp a true knowledge of the skills necessary for being a dental assistant, we spend 13 weeks going over all the basics and information about being a chairside dental assistant. In order to enroll in our program, applicants must at least be 17 years of age and provide a driver’s license along with a high school transcript, GED or recognized equivalent. Students must also schedule a tour of the facility and must schedule/attend an interview. After filling out the proper enrollment forms, we will continue with the enrollment process by sending a letter on how to complete the process. Enroll in our program for the necessary courses to help you become a dental assistant. Copyright © 2019 All Rights Reserved Dental Assisting School of Arizona.